A conference and networking opportunity for senior decision makers in data, regulation and technology in capital markets. Covering a range of current topics such as applicable uses for AI and alternative and unstructured data to name a few. These sessions will be focused on the implementation of new technology, exploring the opportunities of regtech and how to manage operating costs with so many frequent changes to the industry. Specific speeches from CIO’s, fintech start up showcases and other varied sessions create a conference that fully represents the industry. Capital markets firms have never been under greater pressure than they are right now to provide investors, regulators and their own internal stakeholder with greater transparency around the various fees they incur, especially those related to their execution/transaction costs, given how they directly impact the bottom line. This webcast will identify the various day-to-day costs that typically affect financial services firms' profitability, while also looking at the technologies that they can deploy to help them better identify the sources of their costs, especially hidden costs. It also focuses on the tangible business benefits that firms stand to enjoy through managing those costs in a more systematic, disciplined and transparent manner. Buy-side firms increasingly embrace the idea that machine learning and analytics offer the potential to make more insightful and accurate front-office decisions, while managing operational and compliance risk more precisely, as well as streamlining back office processing. Successfully deploying machine learning and data analytics is an enticing proposition, but it is not without its technology, business strategy and operational challenges. Organizations struggle to understand how their data can be used to solve problems. Internal expertise may be limited. There is no single reference model to follow to gain the necessary insights to make impactful decisions. Join us on May 9th for a live and interactive webinar where our panel of experts will discuss these challenges, current trends and what steps to begin to leverage and adopt machine learning technology and advanced data analytics. The electronification of the capital markets has been ongoing for the best part of two decades, although large parts of the over-the-counter (OTC) and structured products markets remain stubbornly manual. Market participants are increasingly looking to automate these aspects of their business by developing and deploying multi-asset trading platforms, allowing them to identify liquidity, execute and manage orders efficiently, hedge their positions, and ensure their compliance with increasingly broad regulatory mandates. Over the past 50-years, financial institutions have created an enormous and uncontrollable amount of data. Today, much of the data stored, generated and consumed by capital market firms is poorly managed and governed. Not only does this create operational inefficiencies and increase costs, it also poses a security risk while wasting precious time. The NAFIS Masterclass will help you to think differently about how your data is stored, managed and distributed across the firm to drive change and enable efficient consumption. Welcome to "NAFIS" 2019 - the premier conference and networking event for senior data, compliance and technology decision makers. WatersTechnology Training has launched this innovative training course designed to cover all the need to know elements of data governance in financial institutions today. Across the two days, attendees will gain all the information needed to design and implement Master Data and Data Governance initiatives successfully. The course is held under Chatham House Rule to promote an open and discussion-based learning environment. Entry is straightforward: Simply select the appropriate category, fill out your company name, list the product or service you are entering, along with your contact details so that we can get in touch with you in the event that your organization wins. Once we have compiled the categories ─ every firm entering a category, irrespective of how many they choose to enter, will feature on the category short lists, on the condition that the product/service is entered in the appropriate category ─ we will open the voting to our readers on May 22, who will have until June 08 to complete a survey indicating which product/service deserves to win each category. The European Financial Information Summit is the leading forum providing data executives with the latest strategies to help them meet business, regulatory and technology challenges facing this rapidly evolving industry. 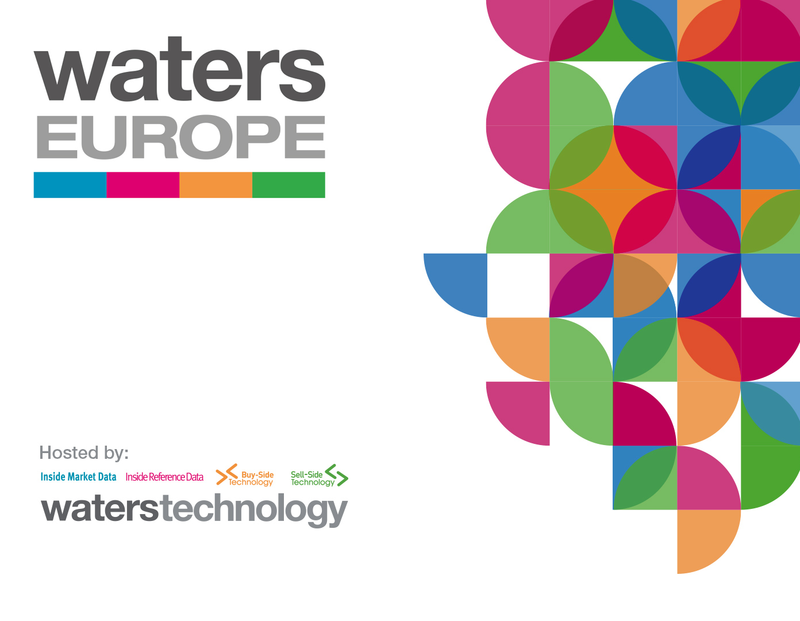 Hosted by Waters magazine, WatersTechnology and Buy-Side Technology, the Buy-Side Technology Awards recognize the leading technologies and third-party vendors in their area of expertise. The awards are free to enter and are open to all technology firms, brokers, and buy-side institutions regardless of their size, location or ownership.